This release originally appeared on Multichannel News. 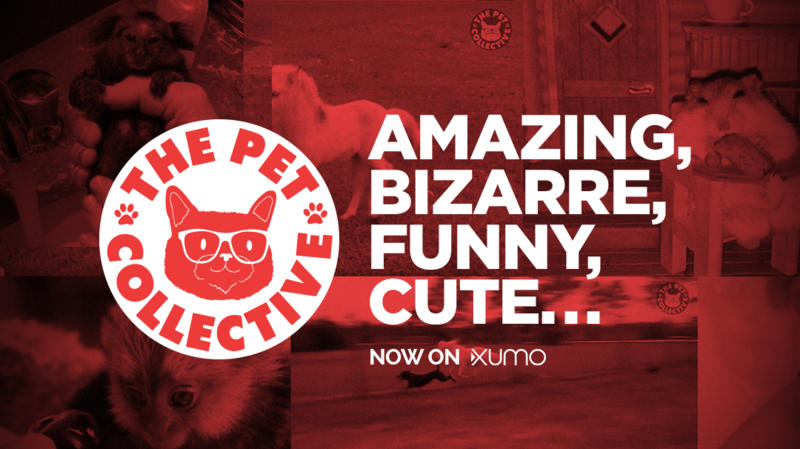 With VidCon hosting the year’s largest gathering of online video lovers, XUMO, the leading live and video-on-demand OTT service for the digital age, and Jukin Media, the global leader in user-generated entertainment, will debut two new channels on XUMO: The Pet Collective and People Are Awesome. The two brands, which combine for more than 8 million followers and 325 million monthly views online, will each launch on XUMO this week. 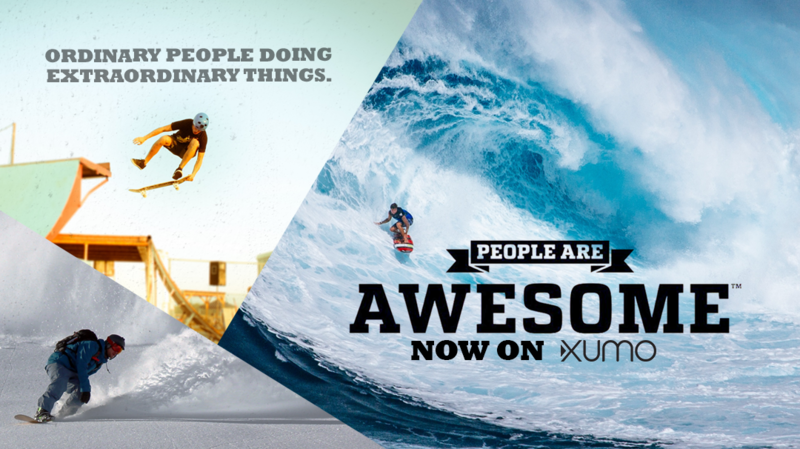 People Are Awesome and The Pet Collective (the latter is a joint venture between Jukin Media and FremantleMedia), join another Jukin property, FailArmy, on the XUMO platform; FailArmy launched on XUMO in March 2016 to a receptive audience. The Pet Collective is the ultimate destination for pet lovers on the web, featuring the top trending clips, most entertaining memes, and funniest animal videos online; the brand’s monthly viewership has grown by 10x in the past year and it recently topped 3 million fans worldwide. At VidCon, The Pet Collective is partnering with Orange County animal shelters to allow attendees to visit with, and even adopt, rescue dogs. Visit The Pet Collective at booth 1609 in Hall B. People Are Awesome is dedicated to showcasing ordinary people doing extraordinary things. The brand’s monthly and annual compilations regularly garner tens of millions of views, and feature soundtracks from award-winning global recording artists like Owl City, Prodigy, and Bloc Party. XUMO will also showcase its smart TV and unveil its newly released iOS mobile experiences at VidCon. Take a tour, get hands-on with XUMO or learn more by visiting booth 1315 in Hall C. To book a private demo walk-through of the mobile app and learn about new content partners, contact davidf@lfpr.com. XUMO reaches nearly 20 million devices in the U.S. through its smart TV partnerships with LG, VIZIO, Panasonic and Funai Electric Co., Ltd. who manufactures and sells Sanyo, Magnavox and Philips in North America. XUMO continues to grow its content catalogue by regularly pursuing and adding partners to its extensive provider list. To learn more about XUMO’s premium content or how to become a partner, please visit http://www.xumo.com/. An advanced technology company based in sunny California, XUMO seamlessly delivers over-the-top (OTT) and video-on-demand (VOD) content direct to consumers through smart TVs, mobile and desktop applications. XUMO brings consumers premium digital and broadcast content via applications that are fully equipped with content recommendations, curated programs and dynamic ad insertion capabilities. Leveraging technological advancements through which living room devices have become both connected and aware, XUMO offers multiple ways to reach and engage with consumers within the home. Learn more about XUMO at www.xumo.com and follow @XumoTV on Twitter. Jukin Media is a global entertainment company powered by user­-generated video content. Jukin receives more than 2 billion monthly views across digital platforms, and is the leader in discovering, acquiring, and curating the web's most compelling UGC videos. Jukin produces original content for TV, the web, and emerging platforms, and is owner/ operator of entertainment franchises FailArmy, JukinVideo, People Are Awesome, and The Pet Collective (with Fremantle Media), which combine for more than 30 million fans online. Additionally, Jukin provides a wide range of solutions that allow premium brands, publishers, and media networks, to commercially utilize user­-generated video content. For more information, visit http://jukinmedia.com.